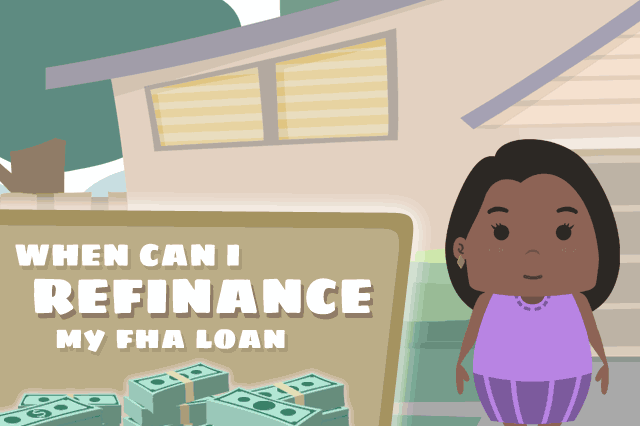 Which FHA Refinance Loans Require a New Credit Check? The short answer is that most of them do. There is only one FHA refinance loan that has no FHA-required credit check, and most typical FHA forward mortgages for purchasing a new property will require one. Credit scores and credit history are important factors for home loan approval. October 7, 2018 - The short answer is that most of them do. There is only one FHA refinance loan that has no FHA-required credit check, and most typical FHA “forward mortgages” for purchasing a new property will require one. Credit scores and credit history are important factors for home loan approval. The one FHA refinance loan that requires no credit check is known as the FHA Streamline Refinance; there are actually two versions of this loan-one that has an FHA-required credit check and one that does not. FHA loan rules do not require a credit check, the lender is free to do so depending on circumstances. FHA Streamline loans do not allow cash back to the borrower. If most FHA mortgages do require a new credit check, what is a borrower to do when worried about FICO scores or the ability to credit-qualify for a mortgage loan in general? When was the last time you surveyed your outgoing debt, estimated your credit card balances versus their credit limits, and took steps to reduce those balances and get your debt-to-income ratio lower? If the answer has a lot of time passed since you last checked, it is a very good idea to begin such a review long before applying for the home loan or refinance loan. There are several ways to approach credit card debt in preparation for an FHA mortgage. One is to try to reduce the balances on your cards one at a time by paying more on the smallest balance you have until it is below 50% of your limit or better, than moving on to another card to do the same thing. Some prefer to attack the biggest credit card debt they have first and address that; others prefer to take the card with the highest interest rate first. In the year leading up to your mortgage loan application it’s best to refuse to open new lines of credit, avoid taking credit card cash advances on your existing accounts, and work to pay down your balances. Avoid carrying more than 50% of your credit limit (some lenders may actually prefer a number closer to 30% rather than 50%-it is a very good idea to do some homework in this regard) and avoid the temptation to close credit card accounts in the meantime-doing so could actually undermine your efforts to improve your credit. Not sure where to start in this area? It may be a good idea to get the advice of a financial expert or consider calling the FHA directly at their toll-free number (1-800 CALL FHA) to request a referral to a local, HUD-approved housing counselor. The help of a housing counselor can be quite useful; these counselors have no financial stake in the outcome of your efforts to improve your credit and also have the benefit of a lot of experience with situations requiring the borrower to work on credit ahead of a major financial commitment. You may not be able to avoid a new credit check for most FHA loans, but you can go into that credit check process much better prepared.